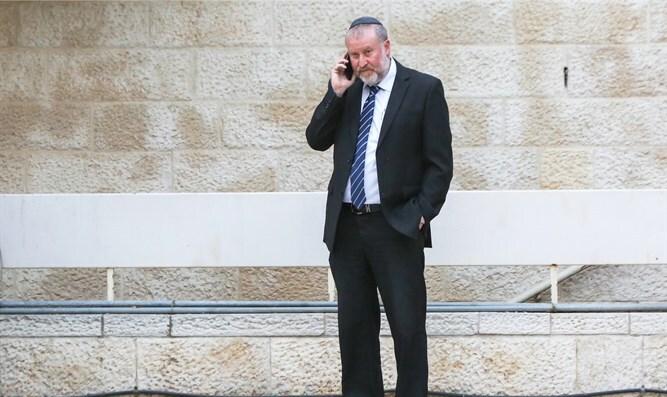 Attorney General Avichai Mandelblit says Regulation Law is illegal, must be canceled. Attorney General Avichai Mandelblit on Wednesday submitted his response to the Regulation Law, explaining his opposition to it. According to Mandelblit, the law is "unconstitutional." However, Israel does not have a formal constitution. The Regulation Law was passed in February and provides financial compensation or alternate plots of land to Arabs who have a legal claim to land inadvertently built on by Jews. In August, Supreme Court Justice Neal Hendel issued, at Mandelblit's request, a temporary injunction Thursday preventing the implementation of the Regulation Law. Very few actual land owners have filed such claims in the courts, with most of the suits filed by leftist organizations, as Israeli courts do not limit suits to those who have a direct connection to the issue in dispute. Israel allowed Jordanian land laws to remain binding in Judea and Samaria. According to Jordanian law, the fact that property taxes have not been paid on the lands since 1967, or that the claimants have not used the land in any way, do not affect ownership.